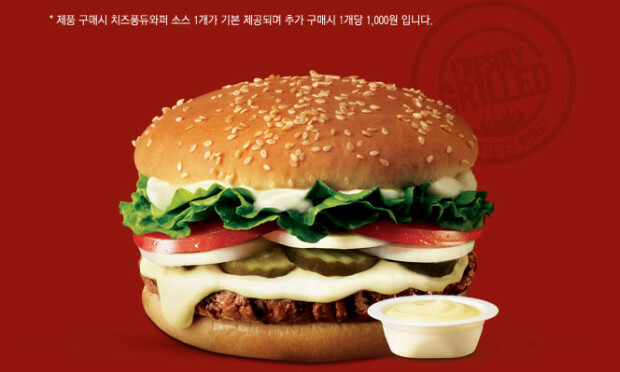 Burger King has introduced a burger that would be near and dear to my processed cheese-loving self if I were anywhere near South Korea. It’s the Cheese Fondue Whopper, which appears to have swapped out American slices for melted white cheese that may or may not be Emmental. Actor Lee Jung-Jae makes dipping a fast food burger into processed cheese (in the commercial he submerges half the Whopper into the fondue pot) look like the height of sophistication. The bachelor pad penthouse terrace probably doesn’t hurt.